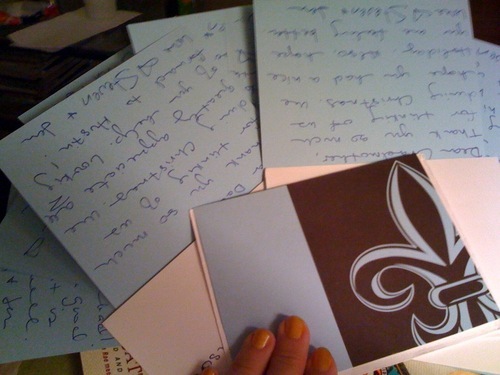 Just now writing out Christmas thank you notes. – stevenjen - Quit our jobs and bought a Westsail 32. Now what? Just now writing out Christmas thank you notes. 0 Comments on Just now writing out Christmas thank you notes. « Clue is Sandy’s Sound. Answer is Arf. There is a doggie heaven!